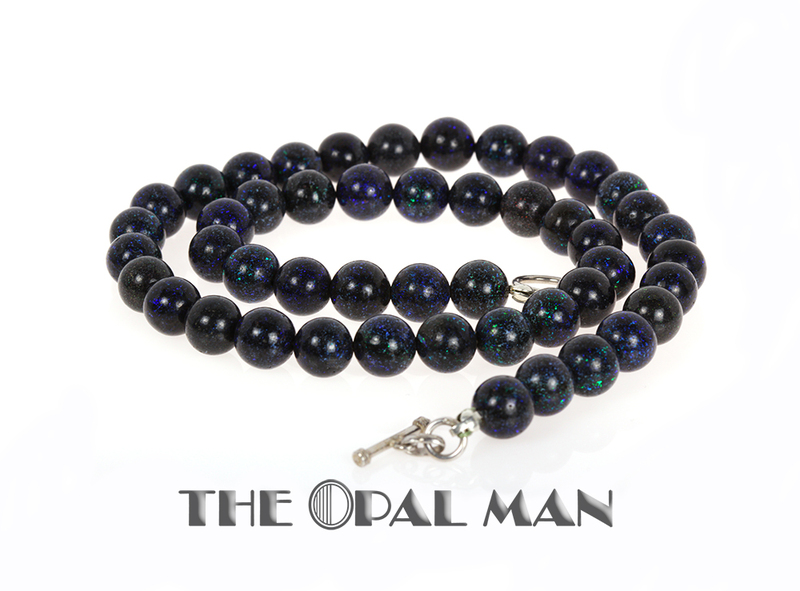 Australian treated matrix boulder opal beads necklace. 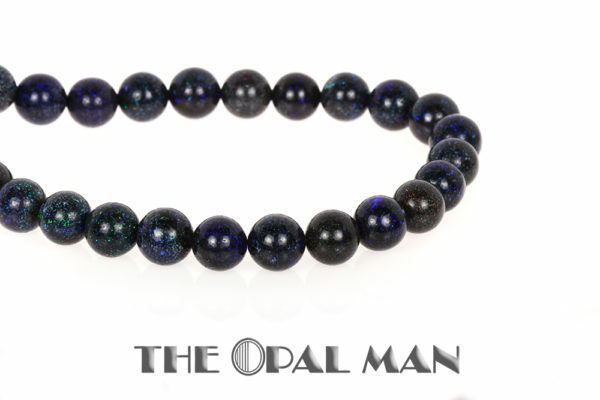 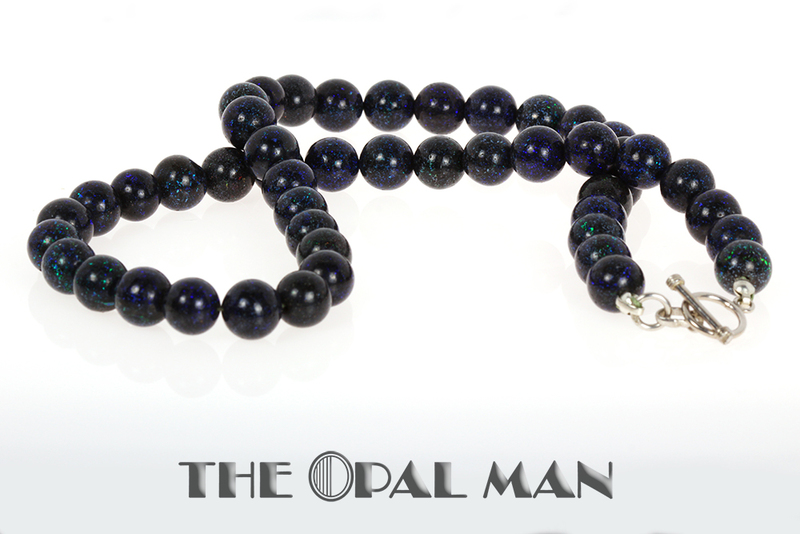 These almost black opal beads are truly awesome because, upon closer inspection, they glint with bright greens and blues within each opal. 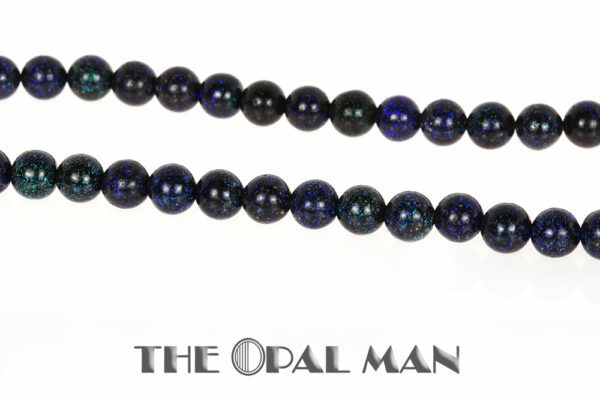 There are even some beads with a surprising flash of red! 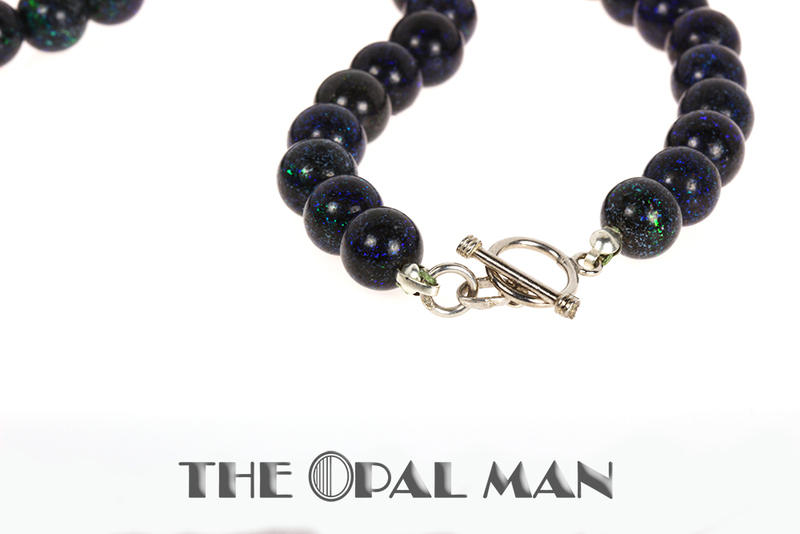 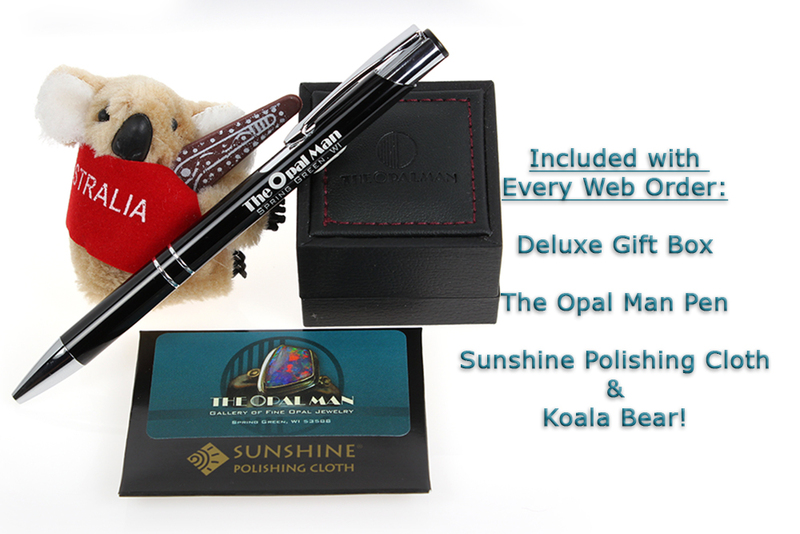 Take these opals out into the sun and they just resonate with sparkles. Necklace Size: 18″ long with beads that are approximately 0.35″ in diameter.